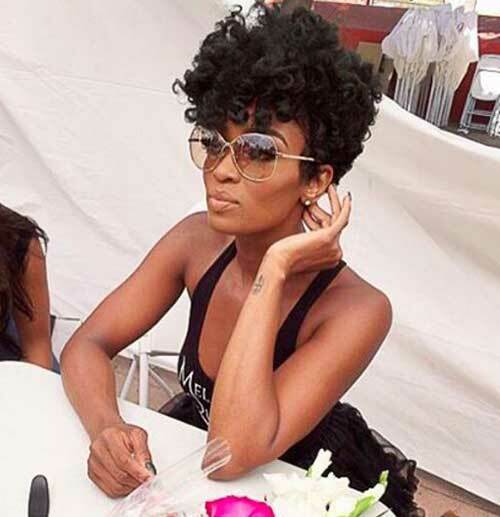 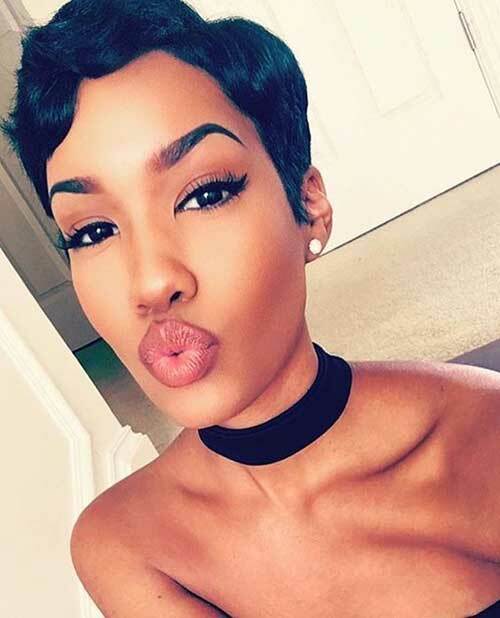 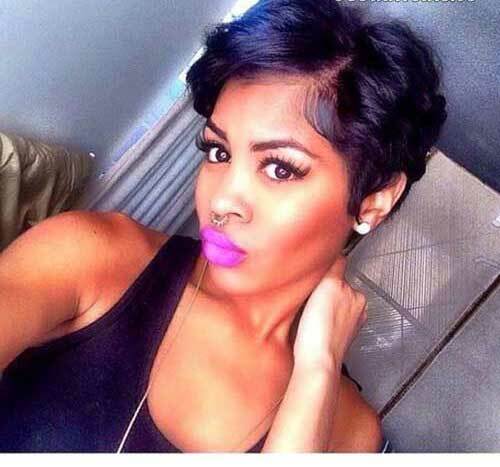 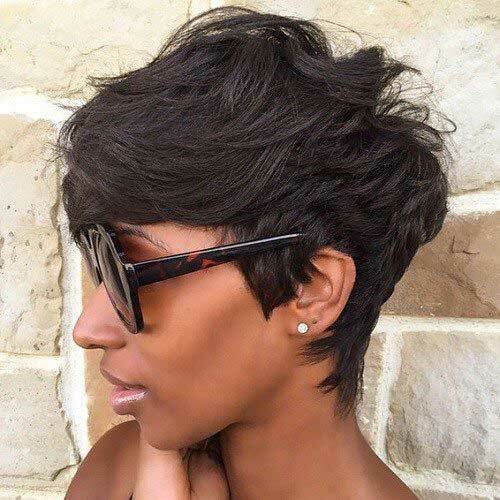 There are lots of different short haircut ideas for black women who want to achieve a modern and chic style. 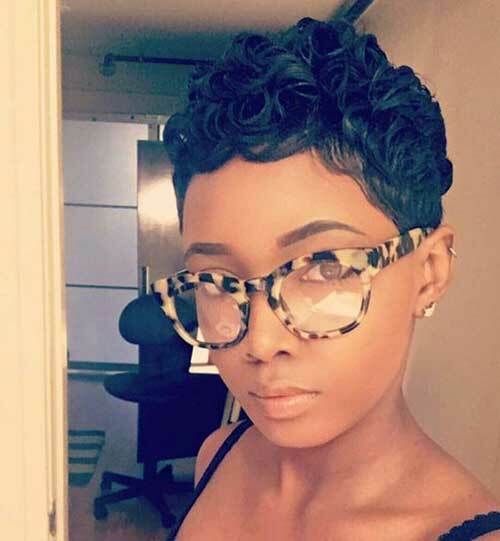 Curly hair may be a little bit hard to style and maintain, with the right haircut and styling tips you can create a stylish&gorgeous style by inspiring from our gallery. 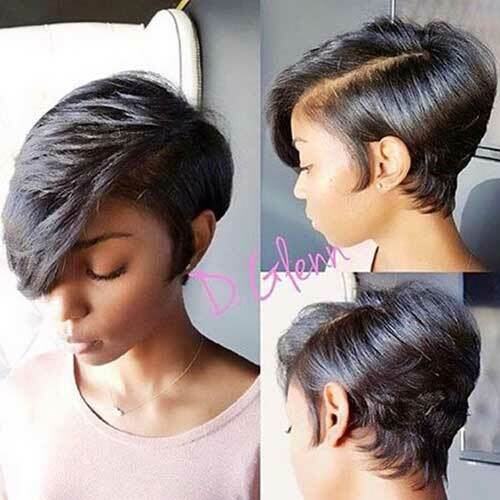 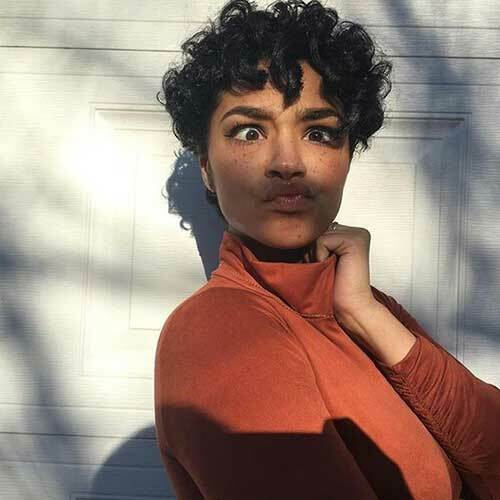 Short pixie haircuts with wispy short bangs are the best choice for women who don’t want to spend time to style their hair in the morning. 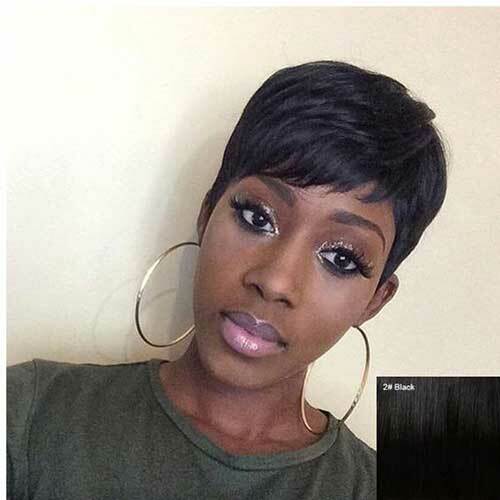 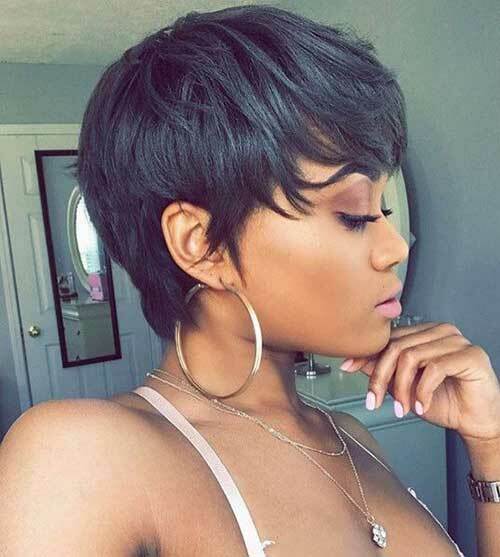 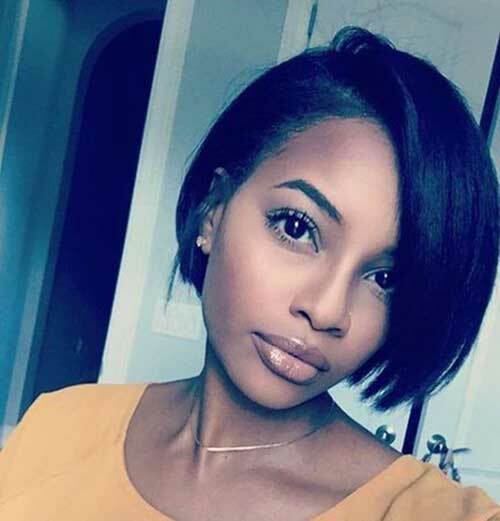 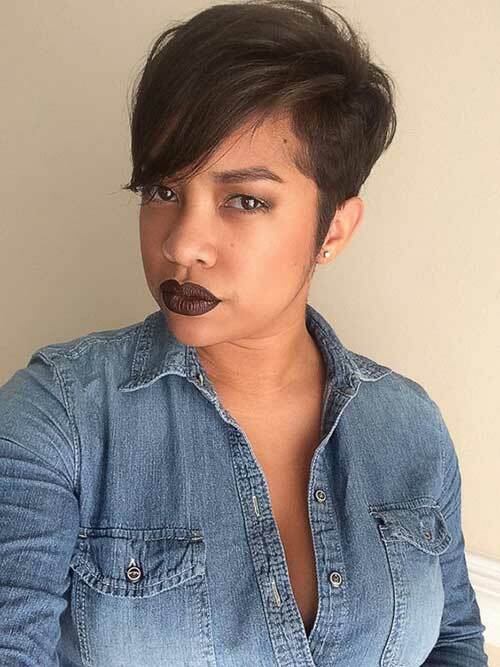 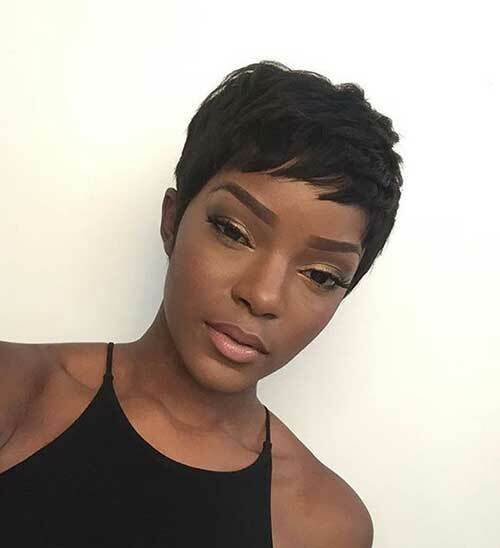 Wispy and layered long pixie haircut with dark and straight hair looks great on this black girl. 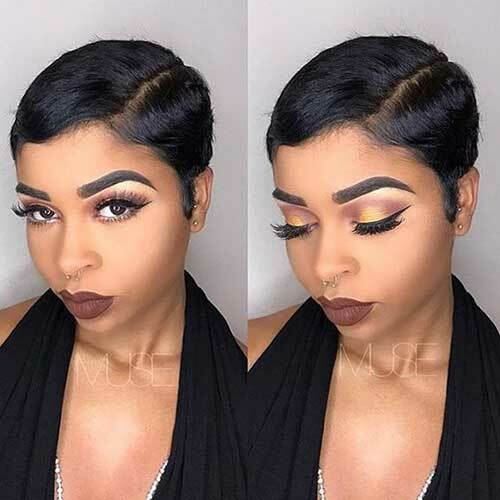 Side parted and slicked hairstyle is perfect for special events and occasions. 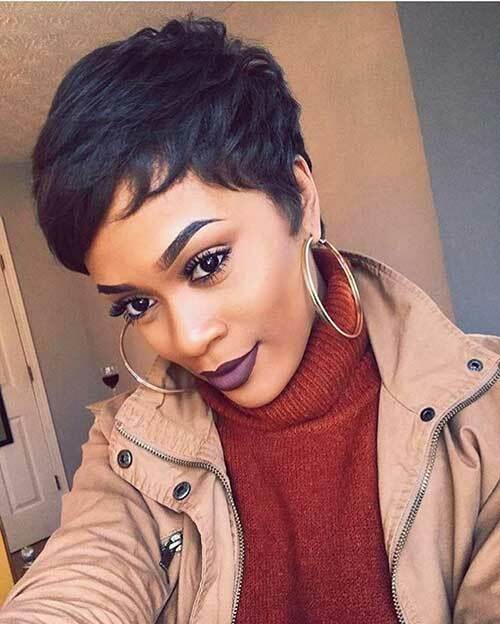 If you generally like your hair straight you might like this short dark bob hairstyle, as you can see this one looks reallt cute and chic. 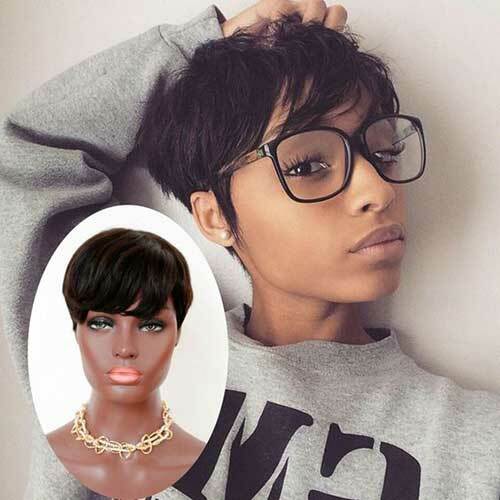 Here is a relaxed pixie hairstyle, it is very easy to style and will look gorgeous both with curly and straight hair.